Vol. 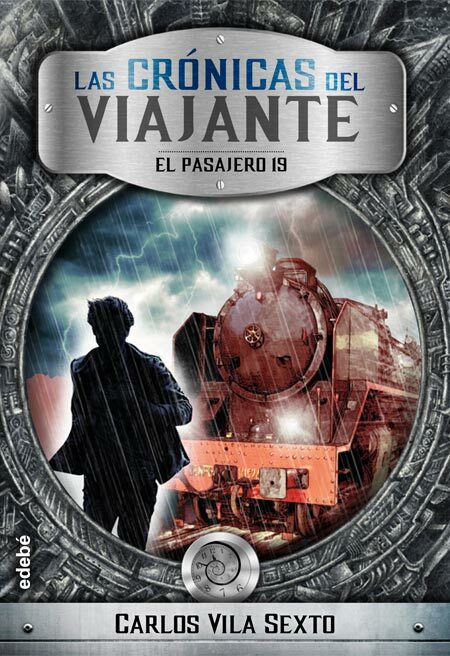 1 of the Las crónicas del viajante trilogy. It is the maiden voyage of "El tren del norte", an Orient Express of our time, made by Ismael Docampo, who goes through the northern Spanish coast under the buffeting of Hortensia, the biggest hurricane the country has experienced in decades. A man wakes up in one of the compartments. He doesn’t remember what he is doing there, he cannot even remember his own name. There are only two things that can remind him of his identity: the tattoo of an angel fighting against a demon on his forearm and the warm corpse of a woman in the toilet of the compartment. Every evidence points at him as the murderer, however he doesn’t remember that lady, and even less the reasons why he would have committed the crime. He is scared, planning to get off the train at the next station, but fate obliges him to stay on it until the end of the trip, or until the mystery is solved: is he a killer…or has someone set him up? During the journey he will get to know other occupants who have more to do with him than he imagines. Some of them, like Alba, Docampo’s daughter, will be at his side. Most of them will engage in a frenetic manhunt in which almost nobody is what seems to be. Only El pasajero 19 knows all the answers, and they are not even close to what the fugitive could think. An exciting thriller with a noticeable cinematographic nature that hooks us from the very first page and shakes us along the more than two hundred following. With a frenetic rhythm and a plot that is full of emotions and suspense, it results in a surprising end, that leaves the reader craving for knowing the causes and the link between its mysterious characters in the following parts of this trilogy: El ultimo aliento de la Casa Quiroga and El Corazón del Diablo.